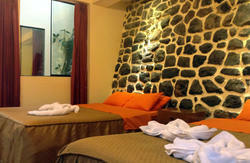 Pirwa Hostels has locations throughout Peru and Bolivia, in Lima, Cusco, Puno, Nazca, Arequipa, Machu Picchu, and La Paz. 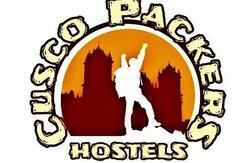 Were a hostel chain with years of experience that was born right here in Cusco! Youll find Pirwa Colonial Backpackers Hostel just two blocks from the Main Square, in walking distance from quality markets and restaurants as well as fascinating monuments and museums for the daytime and lively clubs and bars for the night. This 16th century colonial home was once owned by the niece of Conquistador Francisco Pizarro. Now, it's a backpackers community facilitating cultural interchange between travelers from all over the world! With social areas including an inner patio with BBQ grill, TV & Game Lounge with pool, ping pong tables and dartboards, bar, self-serve kitchen, and fast food stand, you`ll find plenty of opportunities to mingle, relax, and trade travel tales. Make sure to check out our deals page to see how you can save even more with deals such as **free dinners** and **free tours**...between our low prices, special offers, and a locale full of facilities for your entertainment and convenience, no one offers you more! 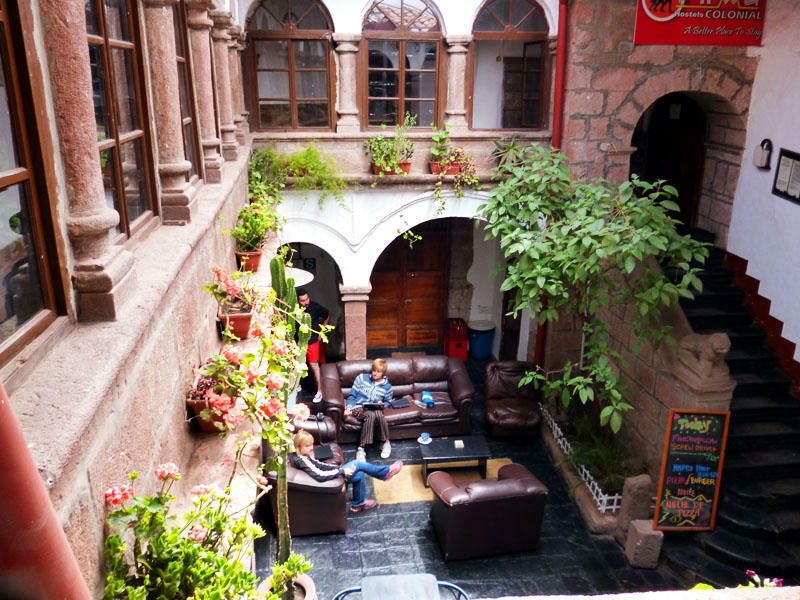 We have our own agency, with an information counter in the hostel, which has been operating tours throughout Peru and Bolivia for years, making Pirwa Colonial a one-stop shop! Pirwa Colonial offers shared dorms for 4-12 people and private double rooms with the option of private bathrooms, each with comfortable beds and 24hr hot water to ensure you have a relaxing stay. - Choose a registered taxi from inside the airport or bus terminal, rather than one from the street. - Be wary of drivers who try to divert travelers to other hostels in order to win a commission. - Negotiate the price before entering the taxi.